2 days of working together in-person to help you become a better supporter of the women you serve! October and November 2015 – Sydney and Geelong Australia workshops – final details soon! Quick reminder – The Empowered Pregnancy Summit is going on now… if you didn’t claim your seat already just know it is not too late to sign up! All sessions are sent to you via email link and can be listened to at any time of day/night! My session on ‘Epigenetic Trauma” will play on Friday May 15th – that’s tomorrow! Having to pee every five minutes. All that is pretty common knowledge in 2015. There aren’t many women who are surprised by that these days. But what does surprise women is that pregnancy doesn’t have to be miserable! As a matter of fact, pregnancy can and should be a time of empowerment. A time of healing for you and your child. I’ve recently been invited to be a guest panelist at the 2015 Empowered Pregnancy Summit where 21 of the world’s leading experts in pregnancy, conception and early parenting are going to gather over the course of eleven days to teach women like you how to have the best pregnancy experience possible. This eleven-day event covers nearly everything you need to empower yourself in your quest to expand your family. And claim your “seat” now! If you feel at the mercy of your pregnancy and your genes then invest the time in yourself to attend this eleven-day summit. I promise that it will be worth every minute of your time and could mean the difference between a pregnancy you love and a pregnancy you “get through”. If you have already given birth you will pick up great tips on how to move forward with the healthiest habits, which start being empowered with great information! Register to join me at the 2015 Empowered Pregnancy Summit and find out what 21 of the world’s leading experts say on joyful family-building now! Think about your birth – if you have given birth more than once pick one. If thinking about when you were born affects you on an emotional level, use that as your focus. Don’t delve into it deeply, just think for a very short moment about whether you would change anything about that birth if you could ‘go back’ and do it again. If you have any anger or frustration surrounding that birth, if you decided on a plan that didn’t go as planned, if you felt betrayed by your experience in any way, remember to speak to, empathize, and support yourself as you would a friend. Then join me on the monthly call to work through and release those feelings and move forward with a new peace. The way a woman feels about her birth(s), even many years later, is incredibly powerful and can affect so much of her life on a level she may not even recognize. 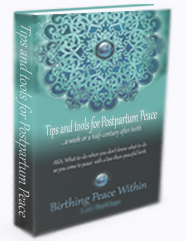 If you feel like you have some frustration, anger, or sadness surrounding your birth(s), you might find that some simple energy balancing exercises like those in the Tips and Tools for Postpartum Peace (the next day or a half-century later) booklet help. Next time you tell your birth story, tell it from a place of balance and clarity — (click here to get it if you haven’t already done this!) and join me at a workshop or webinar. PS:If you weren’t able to attend last month’s QnA call for previous workshop attendees be sure to register ahead of time for the next call. Write to Lori@BirthingPeaceWithin.com to get that taken care of right now! If you work with others and want to bring clarity and your best self to that relationship check out the schedule below to join me at a workshop or webinar to get clear on your reasons for doing what you do, and healing those parts of you that keep you from really being present with the woman in front of you. Did you know over 30% of women report their birth is traumatic? Click here to read the abstract from this study done in Atlanta Georgia. This month our focus is on any frustration surrounding any decisions we made from a place of fear – for ourselves or our baby. Carrying around the pain, anger, and shame from that experience can feel like a heavy weight. People after don’t even realize how heavy it is. What would life be like if you could let go of that weight? What if it were possible to release the past without reliving it? That is exactly what I am offering in these calls. Join us for a call or register ahead of time and send in your topics to have them addressed on the recording which is for attendees only. 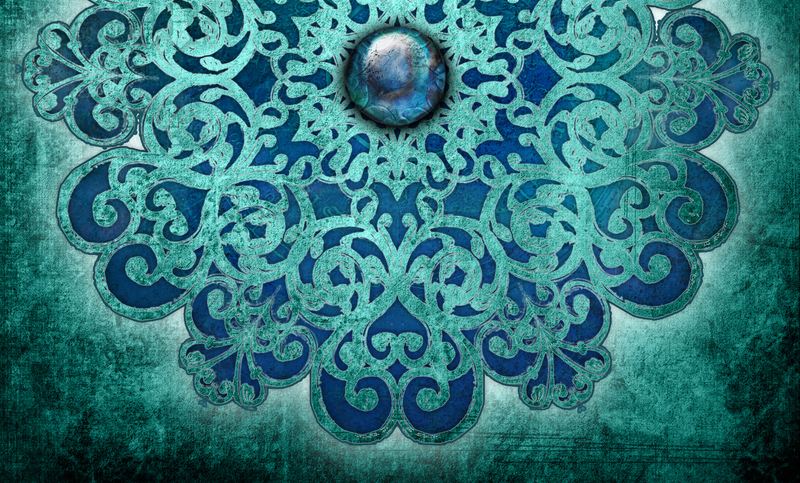 Every month we will visit a different aspect of your birth(s) as you come find yourself coming to peace with either different births or different aspects of one less-than-peaceful experience.You do not have to attend any other workshop to participate in this call. Register here – replay is available to registered participants who cannot attend in person.